In this age of healthcare consumerism, patients are taking their health into their own hands and demanding communication, information, and access from their healthcare providers. Yet while some providers have made some progress, such as adopting online patient portals that let patients access their records, many have been hesitant to explore these digital directions. But providers can no longer afford to ignore the digital tactics and tools that have proven so successful for retailers in recent years. Did you know that 91% of consumers have visited a brick-and-mortar store based on a previous online experience? And that 50% of all in-store sales are influenced by a shopper’s prior digital interaction? 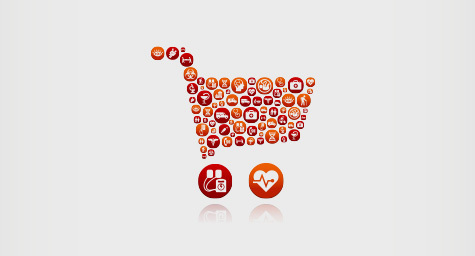 Digital marketing has proven to be extremely valuable for retailers and can do the same for healthcare providers. Now, MediaPost.com has compiled the top three digital tactics that retailers have found to deliver the greatest outcomes. With patients becoming more and more empowered about their healthcare today, they want as much information as possible to make informed decisions. That’s why healthcare providers need to fill their websites and other online properties with all kinds of information and tools that are valuable to the patient. According to findings from Dimensional Research, 62% of web users made a purchase after conducting online research. The same principle applies to healthcare providers. If patients feel that your website offers informative value, they’ll be more likely to visit your practice. To put this protocol into action, provide plenty of useful online content, such as what patients can expect when visiting the office, billing and insurance information, preventative care articles, and interactive tools like videos and healthcare checklists. A recent Google consumer survey found that 50% of consumers who perform a local search on their smartphones visit the location they found within one day. In addition, Google searches with the keywords “near me” have more than doubled since last year. Clearly, healthcare providers must leverage local efforts and make sure that local office information is simple to find on their websites. When a practice has numerous locations, create an interactive locator tool to help patients find the nearest location. Also, secure separate URLs for each location to boost the practice’s visibility in online search results. Lastly, make it fast and convenient for patients to make appointments, which will motivate them to schedule one. With the ubiquity of mobile devices today, healthcare providers need to leverage the power of mobile in all of their healthcare marketing efforts to maximize their results. This starts with optimizing all online properties for mobile viewing and should continue into content marketing since many patients search for medical information on their smartphones. And providers can boost mobile performance by adding a local element. Research shows that more than 50% of mobile searches contain local content. To put mobile to use for local efforts, providers should select online keywords that reflect local searches to ensure that their practice pops up in search results. Healthcare providers should take these retail strategies to heart in their marketing efforts to reach and retain more patients. Discover how digital marketing can be a remedy for healthcare providers. Contact MDG Advertising.